The Directors, Polly and Vera, have dedicated their lives to Yoga. Their life work is to create a safe and supportive environment so that as many people as possible can engage with the work of the practice. Yoga is life changing. Between them they have more than 30 years experience as practitioners and over 25 years of teaching experience. Polly and Vera share the subject with skills of exceptional standard. Theirs is a devotional path, and their intention is to be of service. They have a special temperament that has given them the courage and commitment to establish a school that is world class. Polly and Vera continue in their own training and study, regularly encountering the practice as students themselves when they attend the internationally recognized RIMYI (Ramamani Iyengar Memorial Yoga Institute). In being 'student', they express a deep sense of humility and respect for the magnitude and power of this great practice. Polly Realf is the principal teacher of The Hervey Bay School of Yoga. 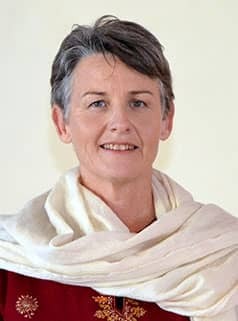 Polly has 20 years of experience teaching Yoga and holds an Intermediate Junior Level 3 qualifiction with the BKS Iyengar Association of Australia and is a Level 3 Senior registered teacher with Yoga Australia. Polly attends the Ramamani Iyengar Memorial Institute in Pune India for ongoing study with the Iyengar family and also attends ongoing professional development with senior Iyengar teachers in Australia. Polly is one of the Directors of the school. Polly worked as a Social worker for 20 years in sectors including disability advocacy, community health, mental health promotion and prevention and also worked in Social work education within the Northern Territory University. Vera van de Velde holds a diploma of Yoga Teaching with the International Yoga Teachers Association and has completed both the foundation and advanced "Children and teenagers" yoga teacher training conducted through Zenergy Yoga 4 Kids. Vera is a also a registered Iyengar Yoga trainee teacher. Vera teaches the children's yoga classes and a number of classes on the main timetable of the school. Vera is one of the Directors of the school. 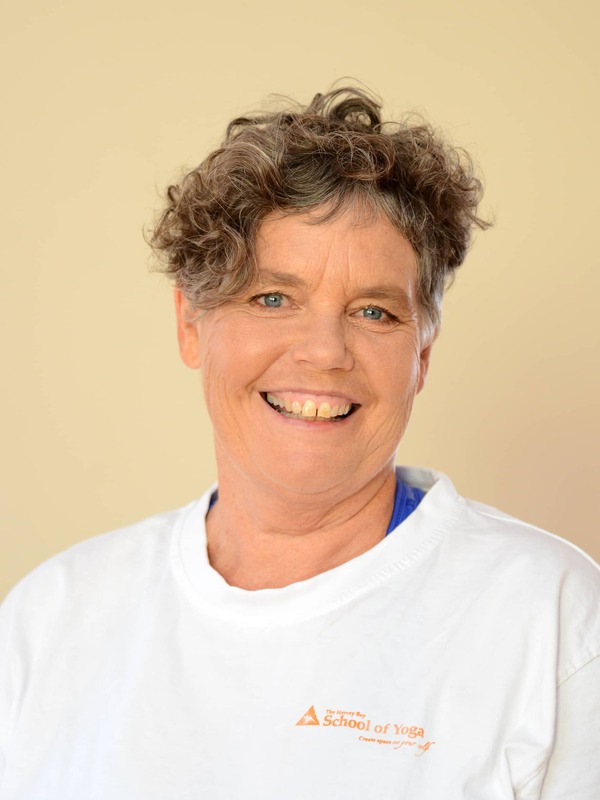 Vera began Iyengar Yoga in 2002 and has practiced extensively under Alan Goode, one of Australia’s most senior Iyengar teachers. Vera attends the Ramamani Iyengar Memorial Institute in Pune India for ongoing study with the Iyengar family and also attends ongoing professional development with senior Iyengar teachers in Australia. Vera is a registered nurse and midwife and holds a Master’s Degree in Primary Health Care. Vera has 30 years experience in Primary Health Care working both as a clinician and service manager. Russell commenced Teacher Training in July 2017. He has been practising Iyengar Yoga with Polly Realf since February 2014. Russell teaches the Introductory courses within the school. Russell has a long history of working in the finance industry and property development. He has a busy family life with children playing sport at National level and a wife who runs a charity organisation. With a background himself in football and triathlons Russell surprised himself when he got hooked on yoga. Yoga though is a continuation of a journey for Russell. He has spent many years researching and attending workshops seeking to understand the mind/body complex as a path to personal fulfilment.